• Pillow is designed to help provide support and relief for patient. 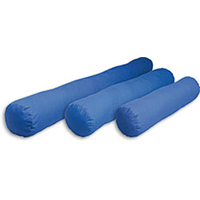 Assists with position changes to decrease the risk of pressure ulcers and increase comfort. • Optional hygiene cover is machine washable. • Inner pillow is machine washable & tumble dry. • 50% HR foam & 50% polyester fibres .